It’s no secret that Jeff Goldblum is the Internet’s daddy. Not only has the 66-year old actor aged gracefully, but he also has this eccentric yet endearing demeanor that has left the pvblic pretty thirsty. Apparently, James Corden isn’t invulnerable to Jeff Goldblum’s charm either. 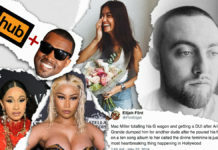 The Late Show host released a hilarious spoof of Ariana Grande’s ‘Thank U, Next’ MV which sees the Brit crushing hard about the actor’s career and charming personality. 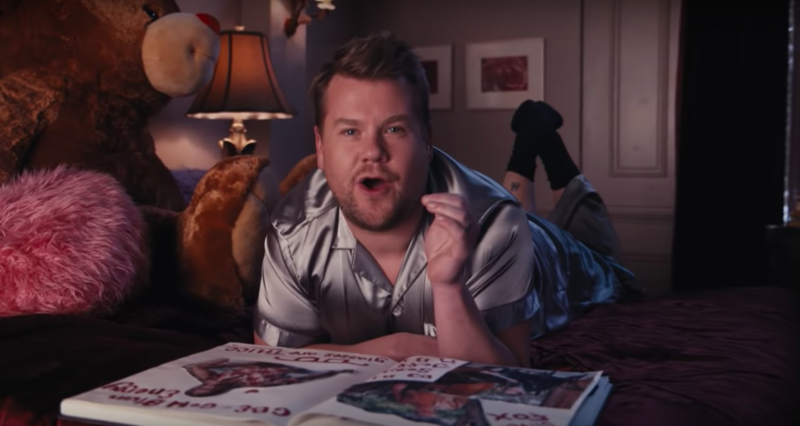 At one point, James is even seen wearing a pair of silk pajamas while singing over a ‘Burn Book’ featuring Jeff’s multiple film roles. ‘Who could forget the hot doctor, that he played in Jurassic?’. Certainly not us, that’s for sure.